These barbecue chicken wings cook to tender perfection in your slow-cooker and then become crispy and nicely charred under your broiler. So toss them in the Crockpot and forget about them for several hours because you have better things to do. Then just before serving, make use of that broiler for smokehouse flavor and crispness. The recipe starts with a nice barbecue rub that you toss together in a zip-lock bag. And then you coat them with just the right amount of your favorite barbecue sauce before slow cooking. 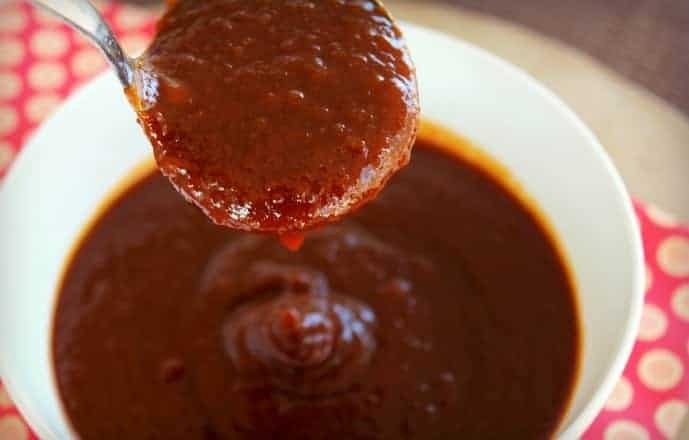 You can use any sauce, or you could make this easy homemade barbecue sauce that tastes like it was simmered for hours with just-right flavor. I used chicken wings for this recipe, but it would be equally amazing with drumsticks or chicken thighs. The meat was ready to fall off the bone out of the slow cooker. And the final minutes under the broiler made them crispy-delicious. No one will know how easy this was, but they’ll love them so make plenty! These barbecue chicken wings become tender in your slow-cooker and finish up with a crispy outside under the broiler for the perfect barbecue chicken for any party or meal. Note about drumsticks... 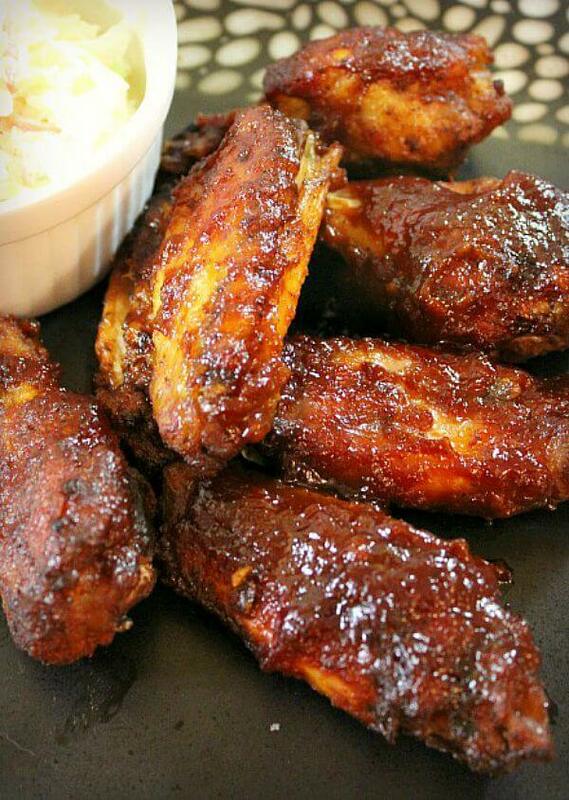 I've made these with wings and drumsticks and the wings do turn out much more juicy and have more flavor. Drumsticks are good, but we all prefer the wings. Hello! This is one of my favorite recipes ever! My guy doesn’t like BBQ foods much, but he loves these. Well done! Hi Nina! I’m so glad this recipe is such a success for you. 🙂 I’m sure the wings on high for 1 1/2 hours will be perfect! After you put them in the over can you then put the chicken back in the pot ? I’m taking them to a potluck and never made them before. Hi Alicia, Yes, you could put them back in the pot and turn it on warm. Thanks for stopping by! Kat, Sorry they didn’t work out for you. Hi Kim, That would work perfectly. Hope you like them! Have mine in the slow cooker now. Smell wonderful. Broiler on high or low – does it matter? Hi Chris, either works but personally I like to use low because I feel like I can control the crisp better that way and get it more even without burnt spots but it does take a bit longer using low. Thanks for making the recipe! Hi sally! If I double the recipe and use 8 lbs frozen chicken wings, should I alter th cooking time? Thanks. Hi Kristyn, if you double the recipe and use frozen wings, add 3 extra minutes to the cooking time. Thanks for making the recipe! How long would frozen wings need for cooking, or do you recommend thawing first? Hi Lori, You should definitely thaw the chicken first. Frozen meat, especially chicken is not recommended in a slow cooker. Since the slow cooker runs on lower heat for the entire cook time, the wings will be at a dangerously low temp for too long to get rid of bad bacteria. See my article on the blog about slow cooker tips. It addresses this better. Thanks for stopping by and I hope you love the wings as much as we do. Great recipe. To those without a broiler I cooked mine on the stove top with some of the left over liquid in the crockpot. Came out crisp and perfect! Thanks for the tip, Maxine! I am making these for the Super Bowl! Can’t wait to try them! Oh, holy cow! This sounds so good! I’ll be making them this morning with sweet potatoes in the bottom so my husband can take them to work this afternoon. Then I’m going to do them again with ribs and another time with thighs. I just had breakfast and my mouth is watering in anticipation. Hi Elin, I’ve never made these with veggies in the pot so let me know how that turns out for you. Thanks for stopping by and taking the time to comment! Hi Rosanne, The ribs will need much more time to cook than the wings, so it isn’t really something I’d try. But I guess if you removed the wings and let the ribs cook for at least another hour, it might work. Love! Love! Love! I made them without the cumin because i didn’t have any ?. I made them with chicken wings but now, as I speak, making them with chicken thighs. Can’t wait to try them. Thanks so much for an easy, no fuss recipe that is full of flavor. Can I do turkey drumsticks in this fashion? Never have been able to get a good drumstick out of the oven. Hi Pete, I don’t see why not. I’ve never done it but I bet it’ll be amazing. Let me know how they turn out for you! Do we add a BBQ sauce? If so, what do you recommend? Or am I missing that this makes it own sauce? Yes Ramie, one of the ingredients is 1 1/2 cups BBQ sauce. We love Trader Joe’s TJ’s barbecue sauce but if you don’t have a Trader Joe’s nearby, Sweet Baby Ray’s is a favorite of ours. I also make my own but that’s not necessary for these to be delicious. 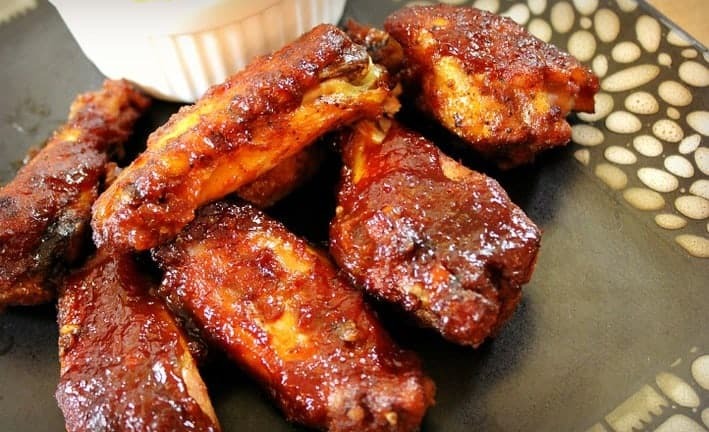 Made these tonight,they were so good..I didn’t make the bbq sauce,I bought some sweet baby rays bbq sauce instead,..it was so delicious,falling off the bone. Looking forward to fixing these tonight. Sounds and looks really good! Have you ever doubled the recipe? Do I have cook longer? Hi Crystal, Sorry for the delay in my reply. We’ve been without the internet most of the day. I’ve doubled the recipe several times and I sometimes cook the wings maybe an extra half hour, but not by much. You’ll be able to tell that they’re ready because they’ll look like they’re ready to fall off the bone. Hope I gave you my answer in time. Thanks for making the recipe! Thank for this recipe! I will make this right now! What is the white sauce that you have in the picture?! thanks!! These are in my slow cooker right now! I was wondering if I could quarter some small white potatoes and put them in the crockpot on bottom with the wings on top? Would this work so I could have barbecued potatoes and have the juices/bbq sauce from the wings flavor them? I made these the other night and everyone loved them! Even my picky 5 year old! I made your crock pot wings and we both loved them. I cooked them the night before then refrigerated them and put on the grill the next night. I used Stubbs BBQ sauce. This recipe is a keeper! Hi Andi, Love the idea of finishing these off on the grill! Thanks for stopping by and I’m glad the chicken wings were a success. I don’t have a wire cooling rack. should I just put them on the pan or will they stick? Hi Tina, they might stick just a little on the pan, but I think they’ll still be totally fine this way. I’m taking these to church Sunday. 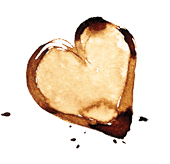 Can I skip the broiling step? I tripled the coating for wings & thighs, still not enough. Added 1/2 cup of soy and 1/4 cup honey, now we will see. I do like the spice mixture that is used. Will cook for about 6 hours. Gale, I’ve never had to double or triple the sauce and the wings always look just as pictured, plenty of sauce on them. Also, moisture will collect in the slow cooker as they cook. Chicken wings, being kind of “skinny” cook pretty fast so 6 hours should be the longest you’ll need. Thanks for your comment. I made these tonight. They were very tasty. My wife loved them also. This recipe is a keeper. Thanks for sharing! Hi Brody, thanks for trying the recipe and I’m glad you both liked it! Have a great weekend and I hope you come back soon. Can you use boneless chicken breasts. My house smells heavenly with these wings! Another successful GDM recipe! Great game day food! hi ~ I am going to make these for dinner tomorrow but don’t need 4lbs of chicken. If I used 1 1/2lbs would I adjust the cooking time? Thanks for the yummy looking recipe, my kids are really excited!! I made these wings for dinner tonight and made your homemade sauce to brush on the wings while broiling. I cut back a bit on the hot sauce and cayenne pepper because we don’t like it too hot. I got a strong taste of cumin so next time I will cut back on the cumin in the sauce. Hubby isn’t a big fan of BBQ but he loved these wings! Thank you for a great recipe! I don’t have a slow cooker but this sound so delicious!! Is there another way I could do it? Hi Lizzie, The success of this recipe is, in part, to the tenderness that comes from cooking the wings slow and low in the slow cooker. That being said, you could follow the same process, but bake the wings in a large baking dish in a low oven. I would heat the oven to 350F degrees and then immediately lower the temperature to 275F degrees as soon as you put the wings in (covered with foil). Bake for about 3 hours like this, then test for doneness using a meat thermometer (165F degrees). Good luck and thanks for coming by. I’m thinking about adding some honey to make them honey BBQ. Any suggestions on how much? Hi Corey, To the 1 cup of BBQ sauce that you are going to brush over the wings at the end (before you place them under the broiler), I’d add only 2 or 3 tablespoons of honey and then watch them since the natural sugar of the honey might make them burn easily. I’m giving this recommendation based on using a BBQ sauce that is not already super sweet. If you use my homemade recipe that is linked to the post, 3 tablespoons should be great. Thanks for making them and I think the honey will be delightful! This recipe sounds delicious and easy. In your directions, you list adding onion powder after the garlic powder but your ingredient list doesn’t have it or the quantity needed. Would you please let us know how much onion powder we need for the recipe. Thanks! Sandy, thanks for pointing that out for me. I just went in and corrected the recipe. Hope you enjoy them. We love them! Thanks for your comment. I guess it’s a little unclear to me from your answer, but can I put the wings in the slow cooker, with sauce, completely frozen? Instead of broiling the chicken at the end, would it be OK to put it on the grill for that nice char? Hi Daisiemae! For sure. The grill would make them even more fabulous! Thanks for posting. Does this work with both frozen and thawed? How should I have chicken wings before shaking in rub? Hi Susie, Sorry I’m late in my reply. We were out of town for the weekend and away from internet service. Yes, this recipe works great with previously frozen wings and I just trim them up before shaking in the rub. I like to trim off a lot of the skin but that’s just my preference. Sounds delicious and can’t wait to try. Question – what is meant by “separated” chicken wings? Also regarding skin…do you mean to say to take off all the skin on the wings? Hi Sue Ann, I will go into the recipe and clarify since both those points can be unclear. But for separated, I just meant for the drummette and other wing section to be separated (basically how they usually come from the meat counter). And I usually cut off as much loose skin from my wings as I can, but that is just my preference. At the very least, just trim up the loosest portion. Thanks for your comment and I’d love to hear what you think of them!